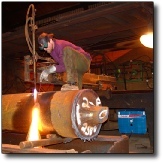 Torch Boosters raise gas pressure as high as 150 psi at 500 scfh for direct supply to torches, shop manifolds, cutting tables and other gas equipment. Find the right Torch Booster for your shop! natural gas for portability. Get information about Refueler 60 and Refueler 180 systems! 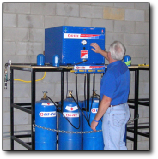 Adsorbed Natural Gas Cylinders store 130 cubic feet of natural gas at only 275 psi. Learn more! 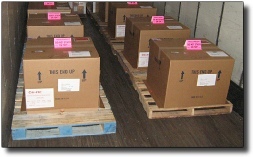 - we sell and ship around the world from Buffalo, New York. Click here for system descriptions and options! approved for installation everywhere. Click here for more information. Get an overview of how to install a G-TEC Pressure Booster. Common applications for high-pressure natural gas include flame cutting, brazing, heating, thermal spray, shrink wrap - even glazed hams! Learn more about the advantages of using natural gas in your torch! 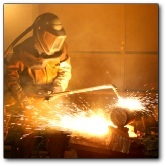 G-TEC sells Natural Gas Tips for flame cutting, brazing and pre/post weld heating. 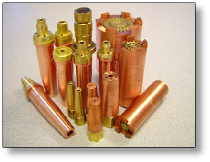 Learn why G-TEC tips are the right choice for your natural gas torch.